P3Zine Issue 67 – James Bond: 007 Legends Feature! Click on cover to download issue. There’s a storm coming, a gaming storm. Over the next few months we’ll be bombarded with some of the finest gaming experiences you’ll have ever seen on your PS3, but while we wait we’ve got a stunning issue lined up for you. We tell you the 7 reasons why you’ll love James Bond: 007 Legends, go hands-on with the stunning Rocksmith, and bring you the latest on Metal Geatr Solid: Ground Zeroes and WWE 13. We were very interested in the Wonderbook, so have expelled a few myths surrounding that and our bumper review line-up contains everything from Pirates to action heroes. Enjoy the issue. You can download the magazine now and read it whenever you choose, which we would recommend doing because it will look a lot better or if you prefer you can read the magazine directly in your browser. SouthPeak Games have revealed that their crazy adventure game 3D Dot Game Heroes will be arriving in Europe this May. SCEA (Sony Computer Entertainment America) have announced that this December has been the best ever since the consoles launch in 2006, with record sales recorded. Anyone hoping to get their hands on the new Dragon Age DLC – Return To Ostagar will be disappointed as developers Bioware have had to pull the DLC due to technical issues with the content. New post-apocalyptic MMO Fallen Earth has had its second major update this week aimed at improving the games visuals and performance. We’ve got a quick preview for new MMO Star Trek Online up on our site now. And we take a look at whether Modern Warfare 2 has been the victim of its own success, due to recent criticisms of the game spreading all over the internet. Robert Bowling from Infinity Ward has revealed that Modern Warfare 2 will be getting a DLC sometime next spring on his twitter feed. Developers Codemasters reckon that consumers buy consoles mainly for the on-line multiplaying action rather than the single player campaign mode. There are some great deals to be had on Steam with the on-line company selling Dragon Age: Origins at £22.49 and Batman: Arkham Asylum for £14.99, these deals are only available today though. If your curious to know what the system requirements are for next years huge title Mass Effect 2 then you can find out now as we list the full spec list. And lastly Capcom are releasing a double pack of downloadable games next year including Final Fight and Magic Sword. There has been a new DLC confirmed for Left 4 Dead titled ‘Crash Course’ which will be out in September. John Riccitiello CEO of developers EA has revealed that there is a new Medal of Honour in development. The Section 8 European Beta has now been confirmed, which you can now sign up to. SEGA have announced that Aliens vs. Predator will be released in February next year. And for fans of the new MMO Champions Online, you can now get a lifetime subscription for just £120. VidZone reaches 1 million downloads and 100 million plays after only 8 weeks after being made available on the PS3. Bethesda are set to publish Archer MacLean’s new futuristic racing game ‘Wheelspin‘ for the Wii this autumn. Ubisoft has announced that a Call of Juarez DLC will be made available this Thursday containing new multiplayer maps. Japan are discontinuing the 80GB PS3 this week, leading rumours to the possible arrival of the PS3 Slim. Plus DSi owners can now upload photos to Facebook as upgrade is made available this week. When is DLC not DLC? 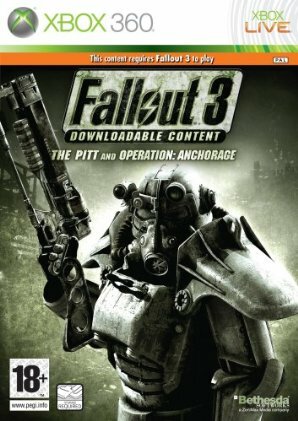 Last week, we pondered What is the point of DLC, and this week, DLC (downloadable content, if you’re wondering) got turned on its head as Bethesda decided to publish their first two parts of DLC for Fallout 3 as a Downloadable Content pack. It’s marked up on Amazon as £14.99 and with a release date of May 29th. What’s the point of DLC? Is it right to pay for a game mode? 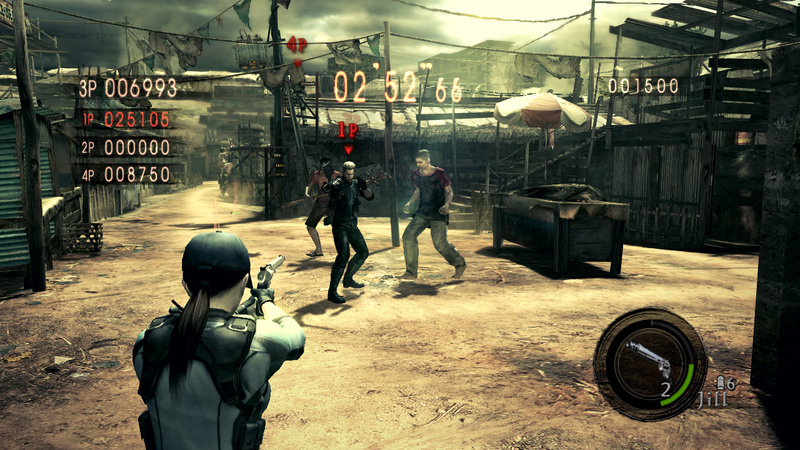 So today saw the release of the Versus Mode DLC for Resident Evil 5. I don’t think there has been such controversy on downloadable content since Bethesda charged for Horse Armour. It made me wonder exactly what the point was of DLC. Firstly, I don’t think it helps that we refer to it in such a broad way. Downloadable content could mean anything at all. Our magazines for the consoles are all free DLC in that case! P3Zine Issue 70 – Grand Theft Auto V Preview! PCGZine Issue 73 – Company of Heroes 2 Preview! 360Zine Issue 73 – Far Cry 3 Review! MMOZine Issue 44 – RIFT: Storm Legion Exclusive Interview! P3Zine Issue 69 – Call of Duty: Black Ops II Review! P3Zine Issue 70 - Grand Theft Auto V Preview!